Martin Sonnenberg was born and raised in Wetaskiwin and from the time he started playing hockey when he was five years old, it was evident that Martin was going to excel. Martin played in Wetaskiwin’s minor hockey system up to the Bantam level, played Bantam and Midget Hockey in Leduc and then Junior Hockey with the Saskatoon Blades of the WHL. 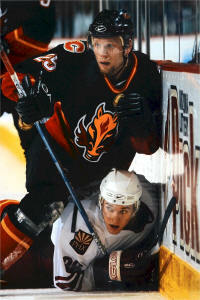 In 1998 Martin turned professional and signed with the Pittsburg Penguins of the NHL. 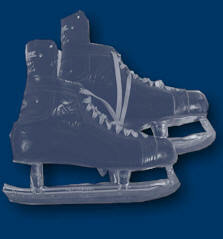 Martin played in the NHL and AHL for eight seasons and then played in Europe for five seasons. His accomplished twelve year professional career took him to two continents, five leagues and twelve different teams. 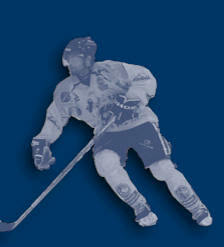 As a youngster, at every level in the Minor Hockey System, Martin was a prolific goal scorer and outstanding player. As he played through the age categories he was so talented that he was often accelerated to the next age level. At the PeeWee level, Martin was selected to play in the Provincial PeeWee AA All Star Game (1991-92). Because the Wetaskiwin Minor Hockey Association had no AAA Bantam team in the 1993-94 hockey season, Martin tried out for and made the Leduc Oil Barons AAA Bantam Team. That season the Oil Barons were the Western Canadian Champions. In 1994-95 at the Midget AAA Level Martin again played in Leduc moving up to the Leduc Oil Kings of the Alberta Midget Hockey League. Another honor for Martin in his first year at the midget level was being chosen to be on the 1995 Team Alberta that competed in the Canada Winter Games and won the silver medal. Team MVP and Hardest Working Player. In 1994, as a seventeen year-old and after one year at the Midget level with the Leduc Oil Kings, Martin progressed into the WHL and played with the Saskatoon Blades. He played for the Blades for the next three years and in his second and third seasons with the team, Martin was chosen both team MVP and Hardest Working Player. Each of those years he was also given the Community Minded Award for his volunteer work. His most successful year in the WHL was his third year with the Blades when he amassed 92 points (40 goals and 52 assists) and was chosen to play in the WHL All Star game. In 1998 Martin signed as a free agent with the Pittsburgh Penguins of the NHL. He was the youngest player on the team and played forty-four games. Part of the first season with Pittsburgh was also spent playing in the AHL with the Penguins affiliate, the Syracuse Crunch. In the next three seasons, Martin saw limited action with Pittsburgh and spent the majority of his time with the newly formed Wilkes-Barre/Scranton Penguins of the AHL. Martin scored the first goal in the teams history (1999-2000), helped the team reach the Calder Cup Finals (2000-2001) and is in the top ten in the team’s all time scoring. Top Ten in the Team’s All Time Scoring. 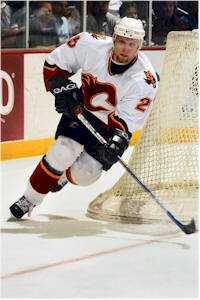 In 2002, Martin signed a two year contract with the Calgary Flames of the NHL. 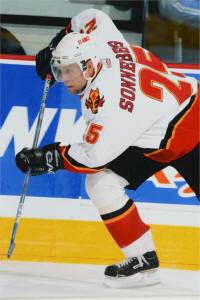 He spent the 2002-2003 season with the Flames AHL affiliate in Saint John. In 2003-2004 Martin played most of the season with the Lowell Lock Monsters of the AHL where he was second in scoring. Martin did finish the 2004 season with the Flames and a highlight for Martin that year was being with the team when they won the Western Conference and played in the Stanley Cup finals, every hockey player's dream. In 2004 Martin signed a two year contract with the Phoenix Coyotes and played the next two years with the Phoenix affiliates in AHL, first with the Utah Grizzlies, then the San Antonio Rampage. When Martin was traded by Phoenix to the New York Rangers he moved to the Hartford Wolf Pack, the Rangers affiliate in the AHL. In all, Martin played 487 games in the AHL, scored 281 points (128 goals, 153 assists) and was usually one of the leading scorers on his team. In 2006, Martin chose to leave the NHL/AHL and pursue playing hockey in Europe. In Europe, Martin played one year for KalPa Kuopio in the Finnish Hockey League, two years with HC Ambri-Piotta of the Swiss League and two years with Timra IK of the Swedish League. Martin was the first foreign born player to be named captain in the Finnish League, a credit to his leadership qualities. One highlight of his time in Europe was being chosen to play for HC Davos Swiss team in the Spengler Cup in 2008 and winning a game against Team Canada in the round robin tournament. During his successful European career, Martin played 156 games and scored 136 points (51 goals, 85 assists). Martin retired from professional hockey in 2010. As a player, Martin was described as “a hard working, gritty winger who could fill in at center. He played with good energy and went into high traffic areas and owned terrific leadership abilities.” These characteristics helped Martin to achieve his childhood goal of playing hockey for a living. Martin is definitely a role model for young Wetaskiwin athletes and his outstanding athletic ability and noteworthy hockey achievements are being recognized by inducting him into the Wetaskiwin and County Sports Hall of Fame.